Universal Stream Solution Client Reviews, Rating and Analysis Report. At USS LLC, we believe in improving lives through technology and design. USS LLC is a technology innovation firm that designs and develops custom apps, web platforms, and other cutting-edge software. We have earned the trust and respect of our global clients by solving their most difficult challenges. Together with our dedicated team. EEE is a user-friendly website and mobile app created for those whose native language is not English. 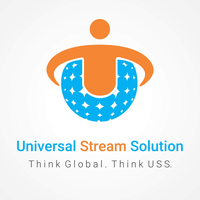 I have used Universal Stream Solutions for over 3 years. Their company is excellent. Jignesh Vaghasiya is always on top of things. When I have a question or need some help, they respond promptly. I appreciate what they do because they allow me to reach users around the world. I highly recommend their service.